Preheat the oven to 150C/300F. 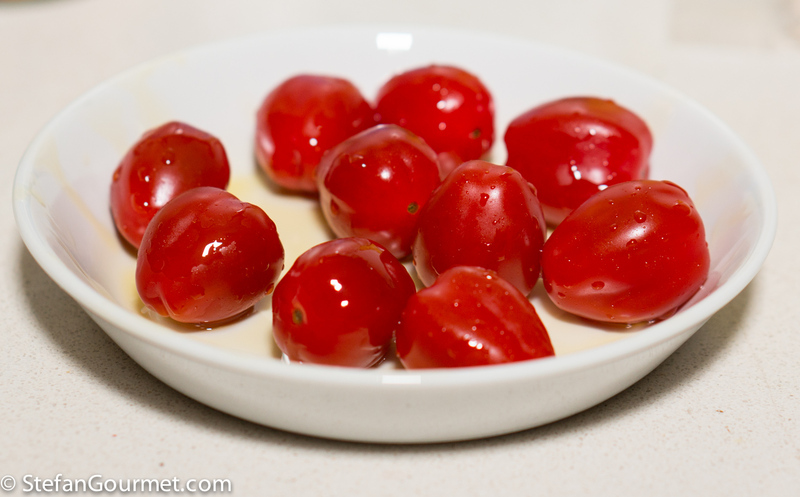 Toss 10 cherry tomatoes with a bit of olive oil, then bake them in an oven proof dish in the oven for about half an hour at 150C/300F. 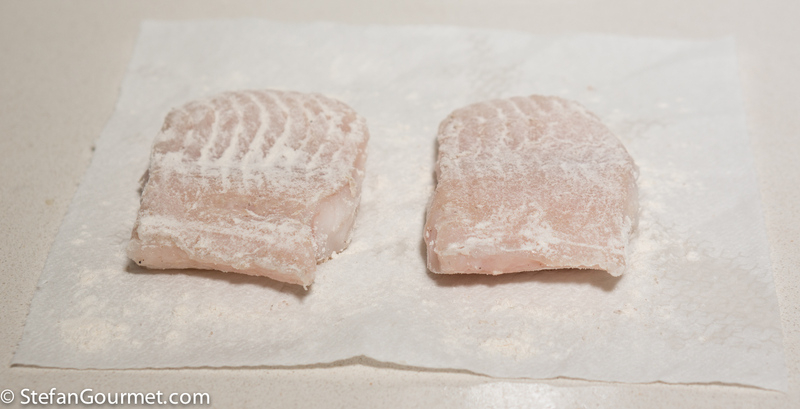 Cut the fish into two pieces, season them with salt and freshly ground black pepper, and vacuum seal (if cooking sous-vide; if not, use the cooking method as described in the recipe for shrimp-crusted grouper). 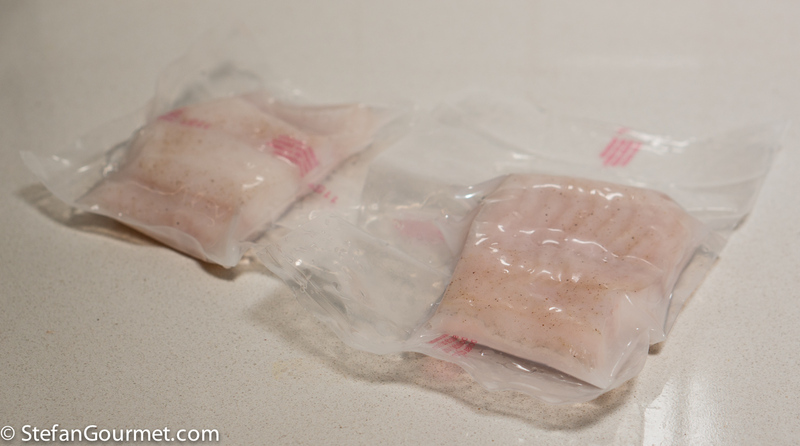 Cook sous-vide for 15 minutes at 50C/122F. 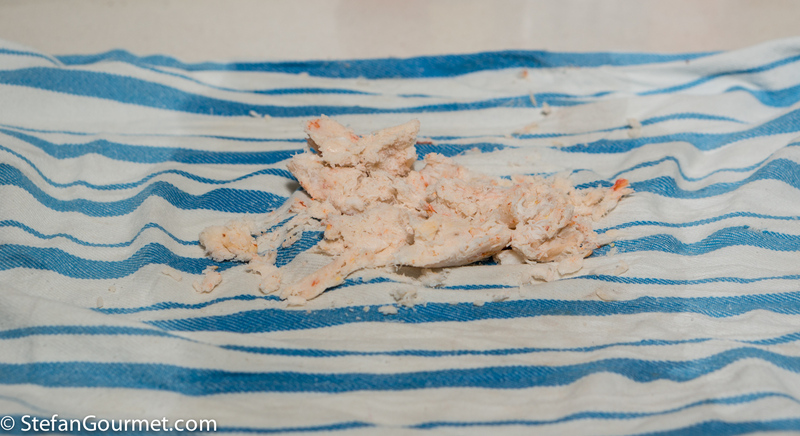 …until the crab meat is dry. …and mix with your hands. Taste and adjust the seasoning with salt and freshly ground black pepper (or a pinch of cayenne pepper, if you prefer). …until nicely browned, about 10 minutes. Then turn them and return to the oven to roast the other side. Remove the aluminum foil for the last couple of minutes. The asparagus should end up tender and sweet. Not burnt, but nicely browned. 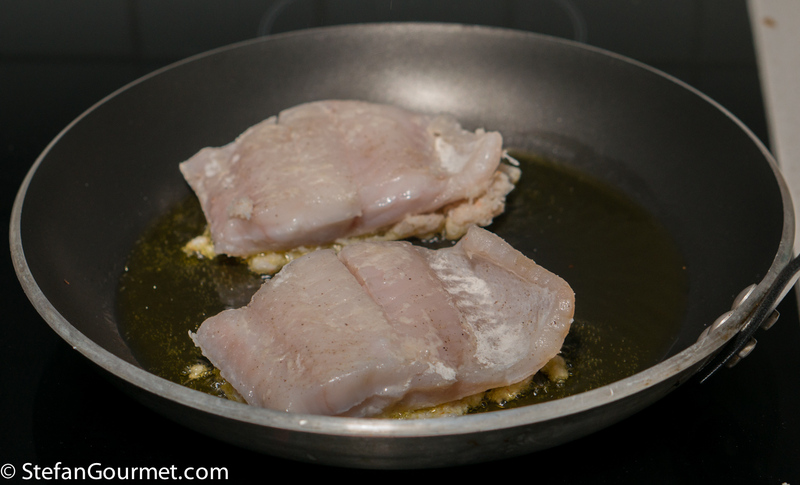 To make the Madeira sauce, put 120 ml (1/2 cup) Madeira in a saucepan and reduce over medium heat to about half. Then allow to cool somewhat. When the reduced Madeira has cooled to about 50C/120F, add an egg yolk and 50 grams (3 1/2 Tbsp) of butter in pieces. …until the sauce has thickened. Keep warm over very low heat. The sauce will scramble if you heat it by too much! 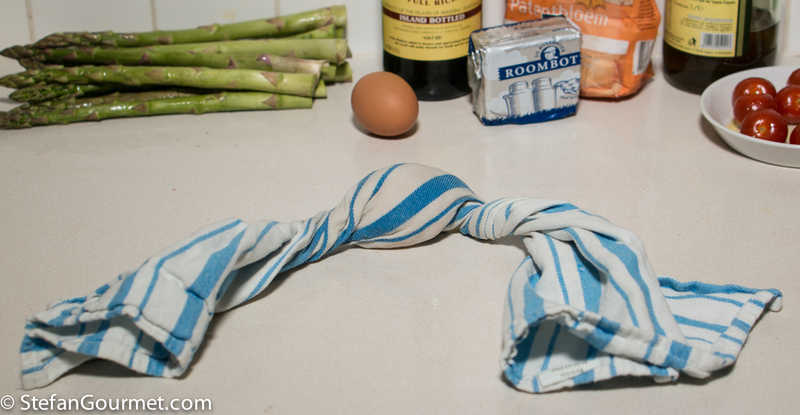 … pat it dry with paper towels and dust with flour on all sides. 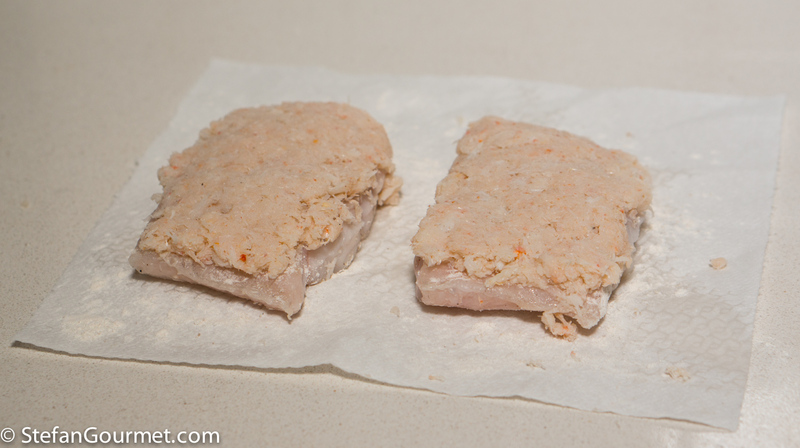 Cover one side of each piece of fish with a layer of the crab mixture. …until the crab crust is golden. Then cook very briefly on the other side. 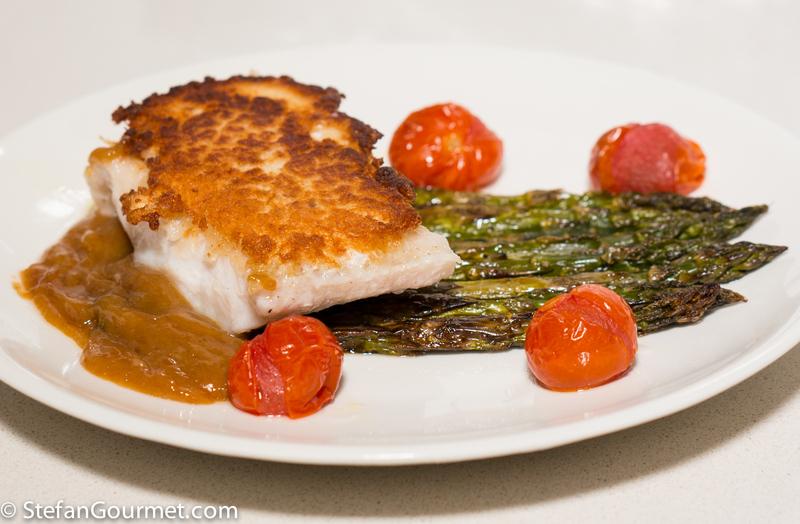 Serve the fish with the asparagus, cherry tomatoes, and Madeira sauce on preheated plates. This is great with a voluptuous white that can handle the Madeira sauce, such as a Condrieu or other Viognier. It was also nice with an oaked Chenin Blanc when we had the similar dish in Miami Beach. 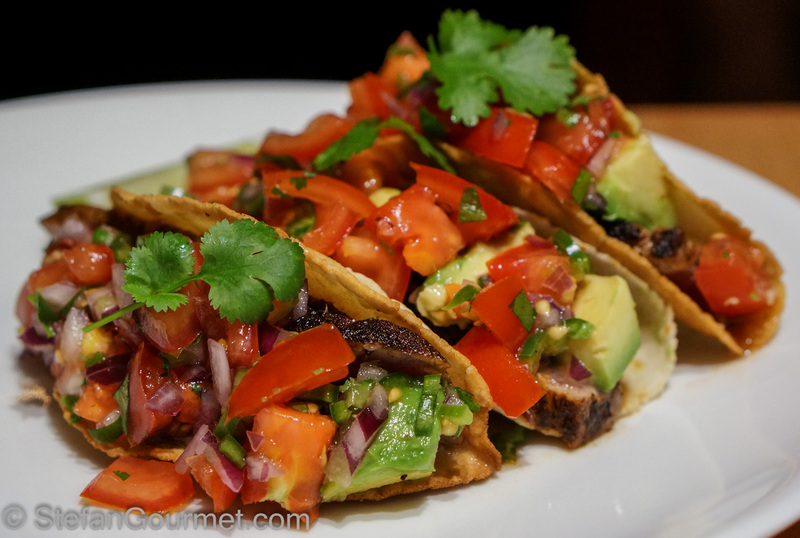 These tuna tacos with homemade corn tortillas and homemade ancho chile rub were amazing. I will make them again soon! What a coincidence! I just had lunch at a little Bistrot in Siorac and they were serving crab with halibut as a main course. I did not try it but now can make yours. We struggle to find good Madeira here, only cheap stuff that I would not want to cook with so I have to order it online usually. Maybe I need a trip to Spain? Good that you want to use good wine for cooking. Most of the Madeira available here is cheap too. Some is even imported with salt in it so it is only suitable for cooking and there are no alcohol taxes on it. Not sure if Madeira is easy to find in Spain. Madeira is part of Portugal. I bought some excellent Madeira in Barcelona a few years ago. In mensa c’era l’halibut. Come mai non hanno mai pensato a cucinarlo così? A match made in heaven! I will definitely have to make this once we start catching Dungeness later this summer/early fall. 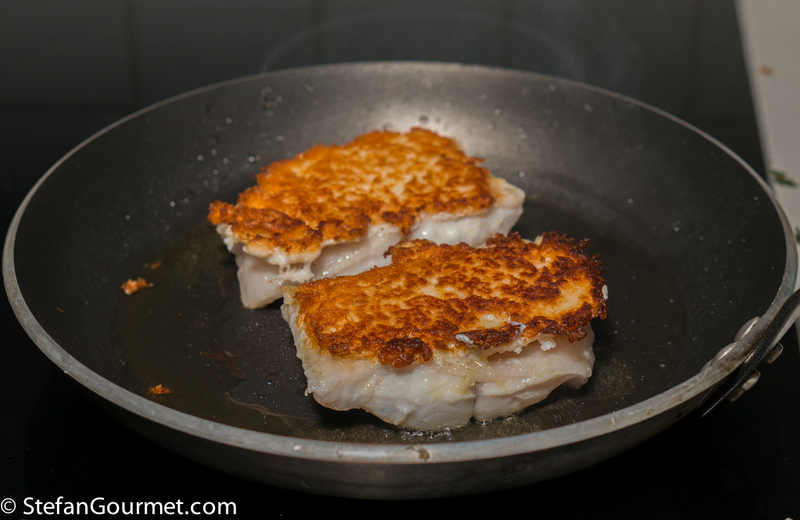 And I can pick up some fresh off-the-boat halibut when I’m at the coast. Fantastic recipe Stefan! Thanks, Kathryn, would love to hear how it works out. Totally my kind of recipe! Glad that tinned crab will ‘do’ as fresh hard to get here in the country! 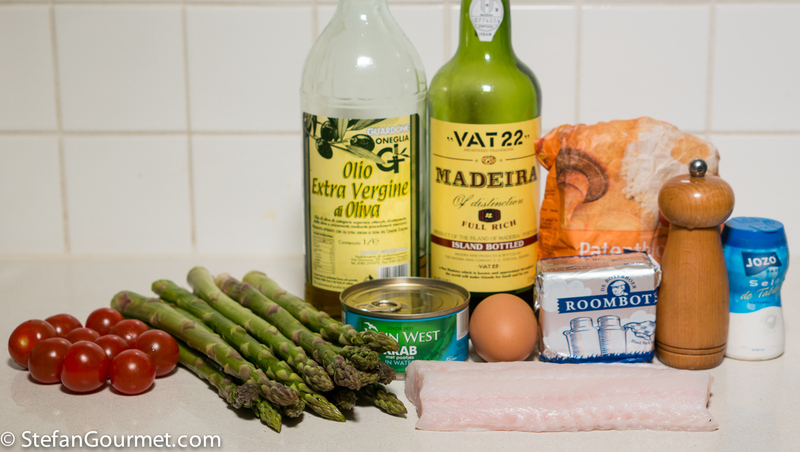 Want to try soonest ’cause I have not used Madeira for quite awhile and would love to know how the sauce and fish marry 🙂 ! The sauce also helps to marry the fish with the asparagus (or the Spanish beans and spinach, if you go for that version). 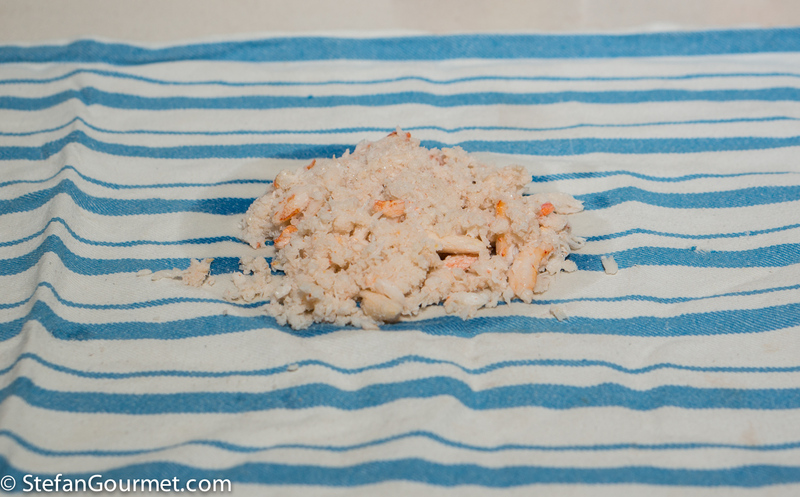 I’m not sure if one would even be able to detect fresh crab in this preparation. Questo è meraviglioso! Complimenti allo chef! A recipe taken right from an upscale restaurant menu! I noticed you used canned crab – I tried it once and it was terrible. Maybe you get higher quality products where you live. Because I know yoou wouldn’t have used what I did. It isn’t great but good enough — squeezing out the water is essential though!